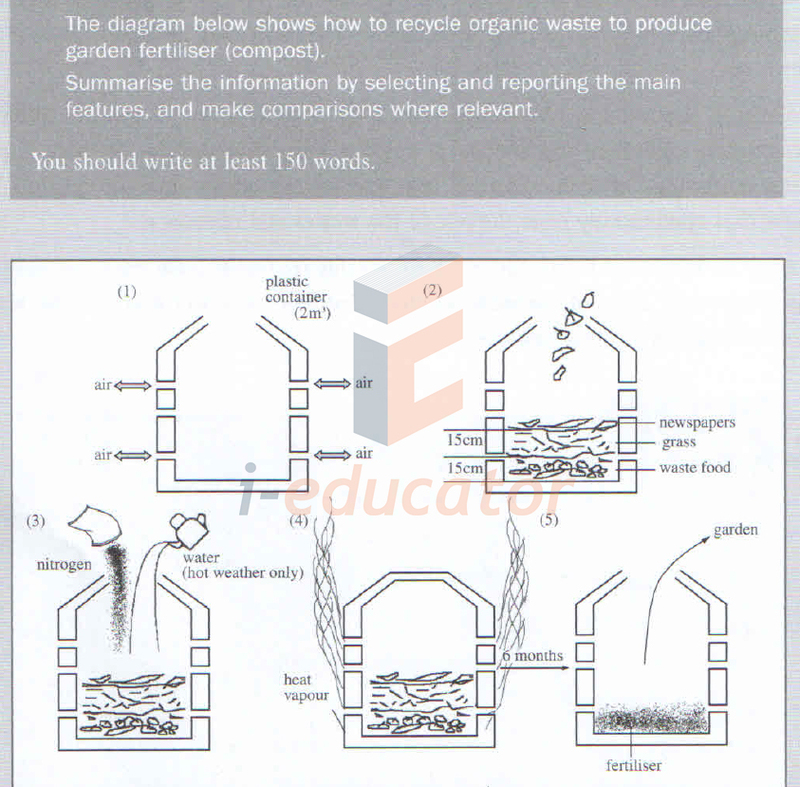 The diagram below shows how to recycle organic waste to produce garden fertiliser (compost). 1. 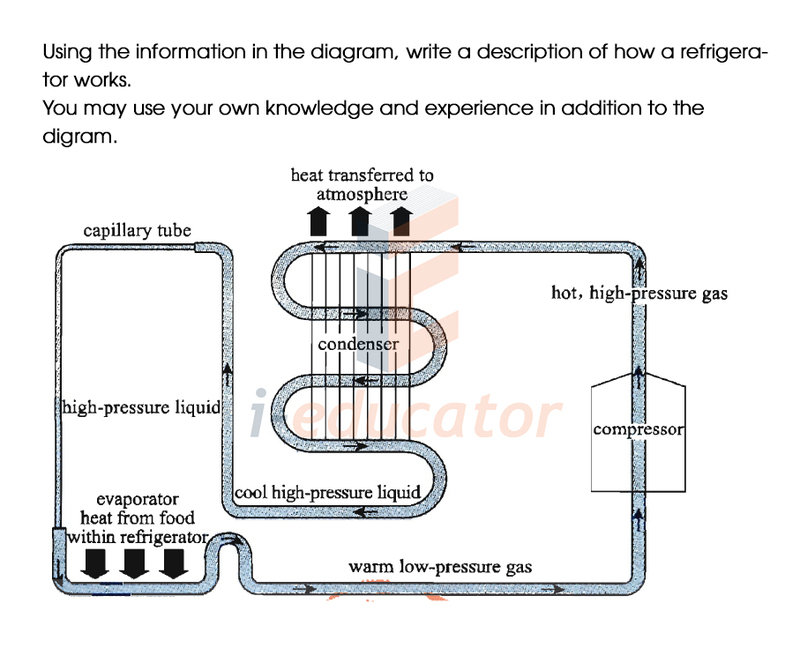 Using the information in the diagram, write a description of how a refrigerator works. 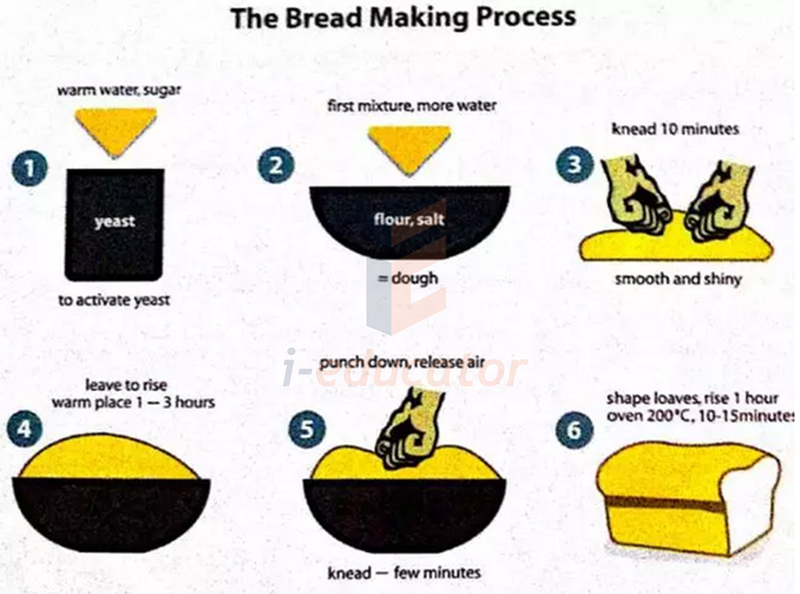 You may use your own knowledge and experience in addition to the diagram. 2. As a class assignment you have been asked to write a description of how this plastic is produced and then broken down. 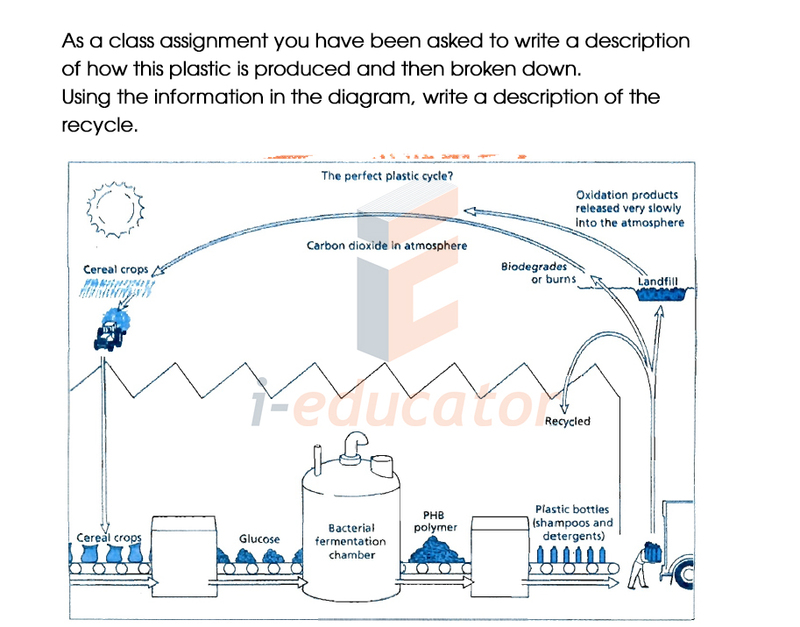 Using the information in the diagram, write a description of the recycle. 3. 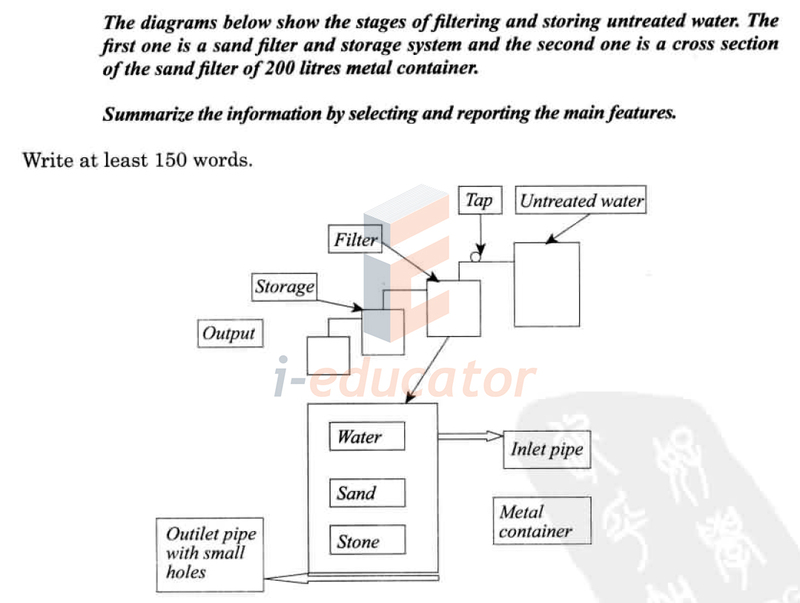 The diagrams below show the stages of filtering and storing untreated water. The first one is a sand filter and storage system and the second one is a cross section of the sand filter of 200 litres metal container. 4. 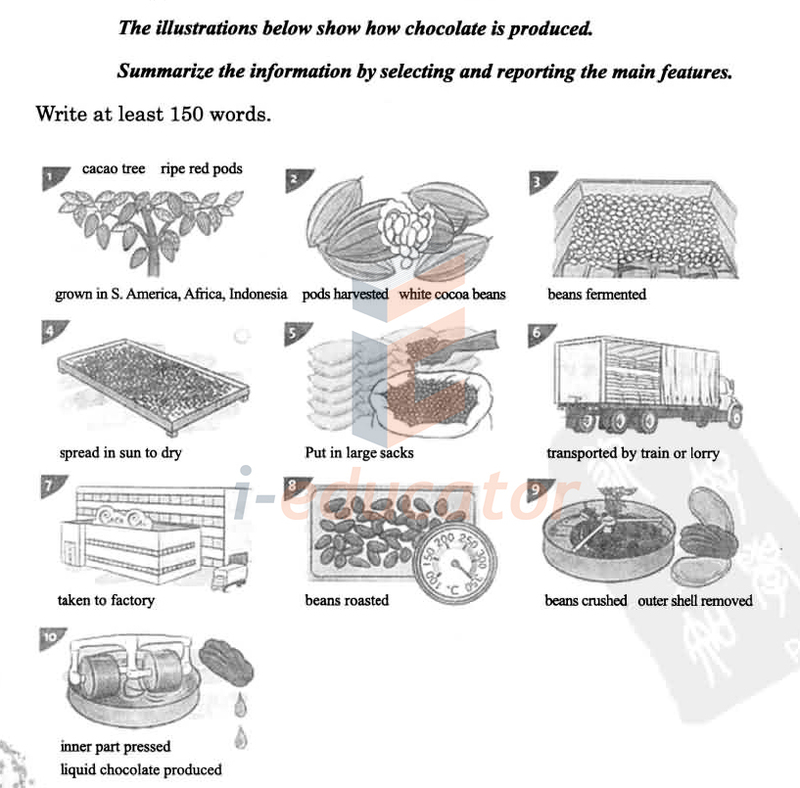 The illustrations below show how chocolate is produced. 5. 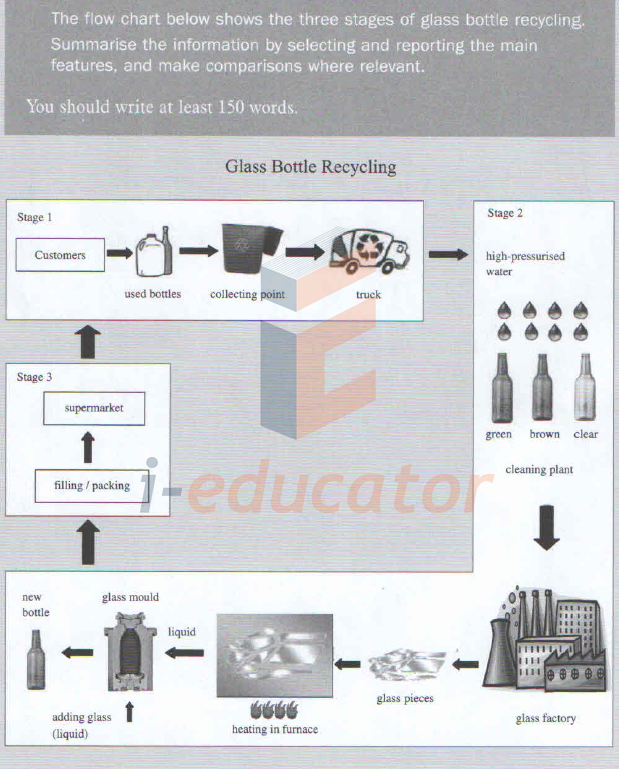 The flow chart below shows the three stages of glass bottle recycling. 6. 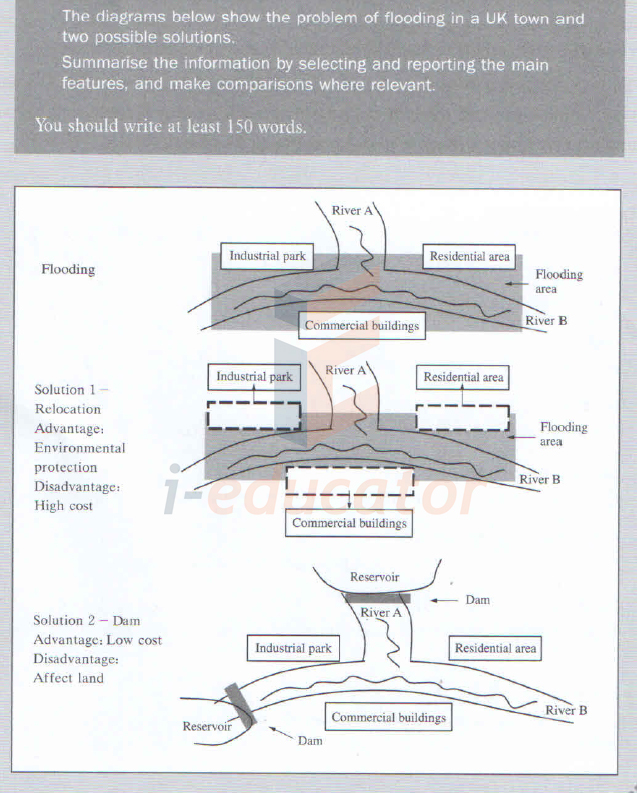 The diagrams below show the problem of flooding in a UK town and two possible solutions.